Last year at Google I/O, Google announced its virtual reality platform, Cardboard. There are hundreds of Cardboard-compatible apps on the Play Store, along with dozens of different headsets to choose from. To progress this VR platform forward, Google is giving us a glimpse at what’s to come. For starters, since phones have gotten a lot bigger over the past year, Google is releasing a new Cardboard viewer that’s now compatible with 6-inch devices. The magnet button is also improved this time around, with a cardboard button that now works with every smartphone. The viewer now only takes three steps to assemble, a big decrease from the 12 it took to assemble the first version. One of the most important points in this announcement is that the Cardboard SDK now supports iOS devices as well, which will likely bring many more users on board. 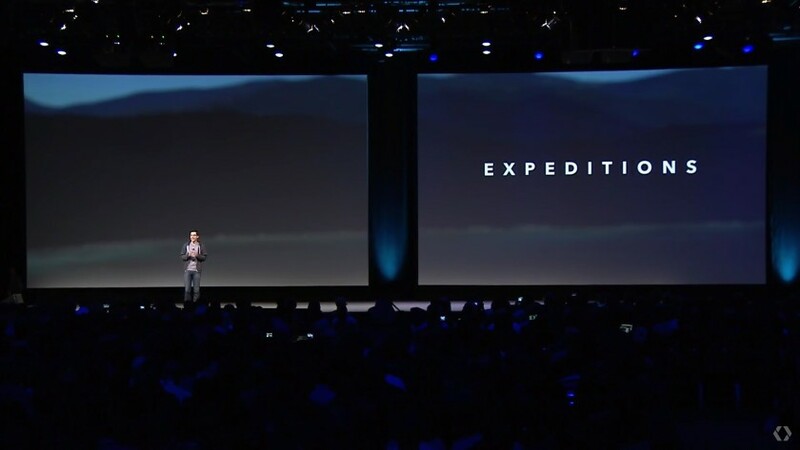 Google has also rolled out “Expeditions”, a new way for teachers to take their classes on field trips to basically anywhere in the world… or even to outer space. For folks who sign up for the Expedition program, a box will arrive at the school, which includes Cardboard headsets, phones and a tablet for the teacher. All of these devices are synchronized, so when the teacher chooses a place on the tablet, everyone will jump to the same virtual place at the same time. Teachers who want to bring Expeditions to their schools can sign up for the program online. Google has also unveiled a program called “Jump”, which is a platform that allows anyone interested to create 360-degree video capture rigs. Using Google’s own VR computing platform, video captured with these rigs will be converted into immersive 3D content that everyone can experience. Google is opening up the camera geometry to everyone this summer, so motivated folks can create their own camera rigs if they want. Since the camera geometry is available to everyone, Google hopes that multiple manufacturers will jump on board to create their own rigs. Google has also partnered with GoPro to create the first Jump-compatible rig. These virtual reality experiences will be available through YouTube sometime this summer, which can be accessed using a smartphone and a compatible Cardboard headset. Since this was just announce a little while ago, stay tuned as we update this post with more information over the next few hours!